Tales with Tails podcast episode 10 wraps up season one! But what is the origin story of the “Tales with Tails” idea? January of 2018 I lamented to my mentor Cheryl that I felt like my business was missing something. All seemed to be rolling along smoothly with the studio. Everyone loved my photos of pet and people, I had great engagement on social media and was well known in my community. I knew I could do more and be more if only I could grasp the deeper message of my business. Cheryl suggested a weekend intensive here in Colorado. Of course I jumped at the chance. Coffee by the lake in the morning, craft beer in the evening reveling in our accomplishments of the day, and a nice neat vision and plan laid out in 72 hours. Keep dreaming Monique! What really transpired included tears, temper tantrums and completely giving up. In the 11th hour we sat slumped with our craft cider somberly staring out the window of Scrumpy’s in Old Town. Had we both failed? Cheryl had persisted all day, plying me with questions, being empathetic, pushing me to keep trying and even told me funny stories of her kitties. We watched as a truck and small horse trailer maneuvered the busy College Avenue. My mind drifted to crazy horse rides as a child. Being May 16th I commented how Friday would be the anniversary of the Mt St Helens eruption. We had goats as a child in 1980 who caused quite a ruckus trying to warn us of impending disaster. Then my thoughts drifted to my neurotic golden retriever Gypsy and her antics at the river. Ideas, inspiration and excitement flooded me. The mood changed and we headed into our final meal together with a lighter heart. Two days later I created the Tales with Tails Facebook group. Please join us there! 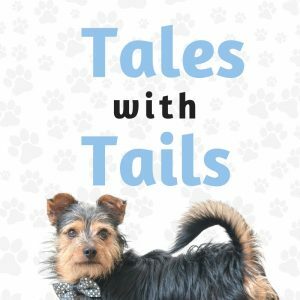 By fall of 2018 I jumped into creating the Tales with Tails podcast on Anchor.fm, Apple Podcasts and 10 other platforms. Many great projects await in 2019! 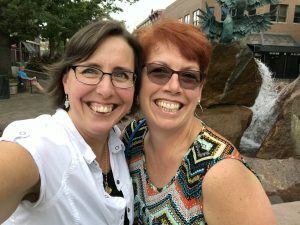 To find Cheryl and her Moxie Catalyst Coaching join the Moxie Sisterhood here, check out her webpage here or join the party on Facebook. What a time that was! I still get goosebumps thinking of how this came about – and look at you now! I’m so glad to be a part of the Silver Paw community.